"Economic analysis of events in the UAE and Gulf"
"My name is Sally. I am living past few years as housemaid in Dubai. I using my maam computer when she not at home. My friend she show me how use blog. She clever she know computer. My maam she not know I write about my work and my life. Please do not tell her." 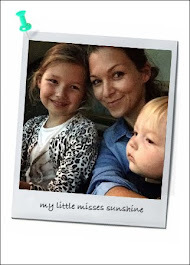 "Trials and traumas of a full-time mum in Dubai"
" The adventure of a Manchester gal in Dubai... and beyond ..."
"Recepies that will make you wish you had more"
"A forum to unite great UAE web diarists"
Any suggestion of blogs for my part 2? Are you a blogger? Want to share with us your blog"
I personally am convinced that Dubai Sally is written by a very creative expat with some spare time! Definitely a fun and interesting read though. Great! Thanks for sharing Wendy! Hope you enjoy Dubai our Sandbox. desert safari dubai is one of the best place where you can have dinner and enjoy also cruise journey. your blog is very nice kindly i like your blog very much desert safari dubai..
Dubai is become very famous place for that people love to come dubai and also they like Tours Dubai trip..